Great news! We have now reached our £14,000 target to raise the final funds for the team of Warwick volunteers who will be flying out to Ghana, Tanzania and South Africa very soon. We still need your support though – any new donations will go to support the 2019 team of volunteers. Each year we need to raise around £300,000 to support the full Warwick in Africa programme… so any support you can give to get us off to a flying start for 2019 would still be hugely appreciated! The more we raise, the more learners we can teach in our partner schools in future years. A HUGE thank you to everyone who has donated so far – your support will change lives! Imagine a world where every learner has high quality Maths and English teaching. You know that Maths and English skills are powerful liberators from poverty. You may also know that the education system across Africa is struggling to cope with an acute lack of teachers, insufficient teacher training (especially for Maths) and huge numbers of learners packed into basic classrooms. Even when learners make it to school, for those in the poorest township and rural schools, getting a good education is still a huge challenge, let alone making it into higher education or getting a decent job. 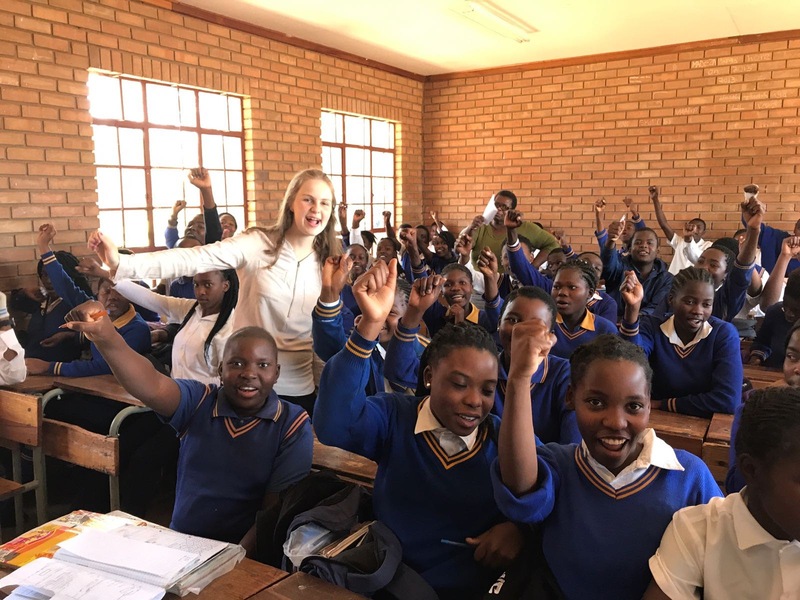 Can you help ALL OF OUR Student Volunteer teachers get to Africa? Volunteers are trained to spend 6 weeks teaching African learners and their teachers. 79 Volunteers are currently getting ready to go to Africa. We currently have a shortfall of £14,000 and urgently need your help to get all of our Volunteer Teachers to Africa. 79 Volunteers will directly teach over 23,000 learners between them. But because they also mentor the African teachers, this Programme can transform classroom teaching methods for good, helping even more learmers as a result. The average cost of one Volunteer Teacher spending 6 weeks transforming Maths and English teaching in a classroom in Africa is £3,500. We need to raise £14,000 to get the final 4 volunteers to Africa in July! One of the African learners is 12-yr old Rodney who lives in Agano East. He is a keen learner and the best student in his class. He gets up early to help his mum prepare kenke which he then takes to where she sells it. Rodney arrives at school for 7am to clean and prepare the facilities for the day. After school, he helps his mum sell kenke and then prepares dinner for his mum and 4 siblings. He has not heard from his father in over 3 years. Rodney's dream is to become a bank manager to "help people save money". His dream is now closer to reality because of the Warwick in Africa Programme. In his first Maths test he had scored 45%, after the Warwick in Africa Programme, he was able to score 100%. Learners like Rodney have better futures because of people like you. The Warwick in Africa Programme would not exist without donations and the generosity of our supporters. Please donate today and give learners like Rodney a brighter future! 100% of your donation and it's Gift Aid will go directly to helping African learners like Rodney through the Warwick in Africa Programme. Please help us reach the £14,000 by donating and then sharing this link on your social media!